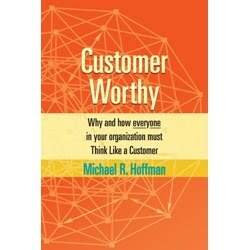 In the most recent episode of the 2011 NACCM Storyteller Spotlight Series I had the pleasure of chatting with Michael R. Hoffman, Author of Customer Worthy, and founder and partner at Client x Client. 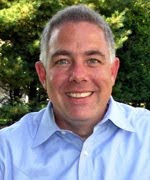 In his work at Client x Client Hoffman has learned that innovative customer service comes from a place of trying to make every experience a customer has an exceptional, memorable moment. To hear more about this philosophy, listen to the full interview here. 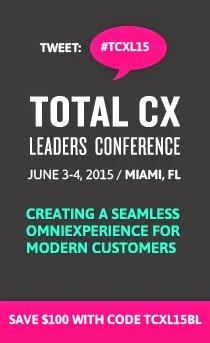 In this session learn how customers are voting with their feet, their clicks and their wallets. In 2011 customers took over brands, messaging and even countries. 2012 demands companies be customer worthy at every contact through every process – or else. To succeed companies must marry corporate objectives to customer expectations and continuously be customer worthy in every interaction. Be prepared to hear some best & worst examples and walk away with new tools. Readers of the Customer's 1st blog can save 15% off the standard registration rate with code NACCMBlog. Register here. Stay in touch with NACCM, follow us on Twitter, become a fan on Facebook or join our LinkedIn Community for event updates, discounts and industry news and information. A terrific book. It is amazing to see how adjusting your view of your own company to the perspective of your clients will point out your glaring deficiencies.